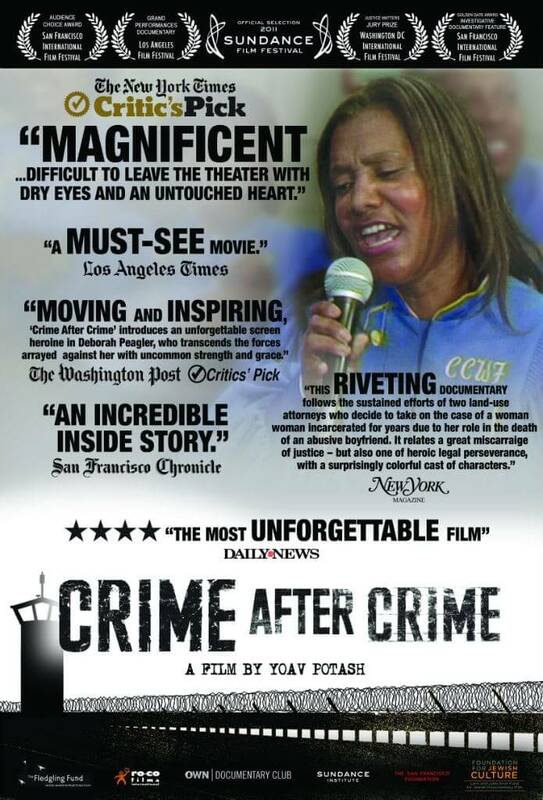 Thank you for your interest in holding a screening of Crime After Crime. Thank you for your interest in Crime After Crime. Their investigation ultimately attracts global attention to victims of wrongful incarceration and abuse, and the film tells an unforgettable story of a relentless quest for justice. This riveting documentary follows the sustained efforts of two land-use attorneys who decide to take on the case of a woman incarcerated for years due to her role in the death of an abusive boyfriend. It relates a great miscarriage of justice—but also one of heroic legal perseverance, with a surprisingly colorful cast of characters."